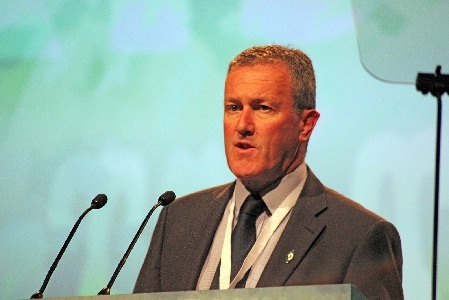 Nationalism in the north of Ireland has never been more confident and will not accept inequality of treatment or disrespect, local MLA Conor Murphy has said. The Sinn Féin MLA was commenting on an initiative earlier this week in which almost 200 legal professionals, athletes, artists and writers, academics, community leaders, and entrepreneurs from the nationalist community penned an open letter to Taoiseach Leo Varadkar urging him to take a stand against the denial of rights of nationalists in the north of Ireland. Speaking to Newry Times, Murphy said, “This initiative has revealed the energy and determination that now runs through the nationalist community in the north of Ireland. “It is positive for all of us for civic society to be involved in the political process. An empowered and vigilant citizenry is good for democracy, and I would urge progressives of every stripe to make their voice heard on the denial of basic rights. “The DUP-Tory pact now oversees a flagrant denial of rights to our LGBTQ citizens, to those families who waited decades for truth and justice, and to Irish language speakers. Citizens must also become active to defend our society from the recklessness of Brexit,” he insisted. “As Irish citizens living in the north, we have a right to expect the Taoiseach and the Dublin Government to stand up for basic safeguards and entitlements. There is no ethical or logical reason why the people of the north of Ireland should be denied the same rights granted to everyone else on these islands. “We demand equality of treatment, nothing more and nothing less. Specifically, we are demanding an end to the disrespect shown to Irishness that has angered nationalists in recent years. We want local institutions returned immediately that embrace true power-sharing, parity of esteem and a sincere appreciation of the equal place of nationalists in society.